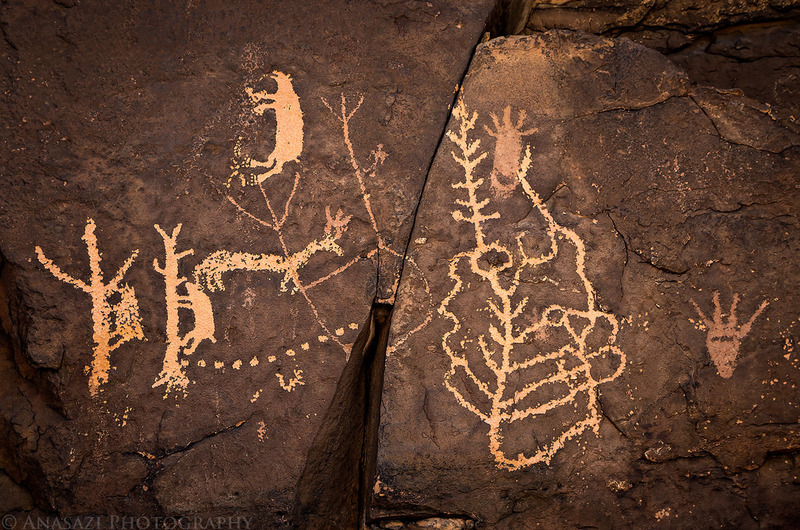 After visiting the Shavano Valley Petroglyph Park near Montrose a few years ago I didn’t have any plans on returning. However, after Carol Patterson offered to guide me on a private tour of the park I couldn’t turn down the offer. Diane and Marty joined me on the tour this morning as we learned about these Ute petroglyphs from one of the leading experts in the field of rock art. Not only did we learn some interesting things about the Ute rock art in this location, Carol also showed us a few things I had missed on my previous visit. 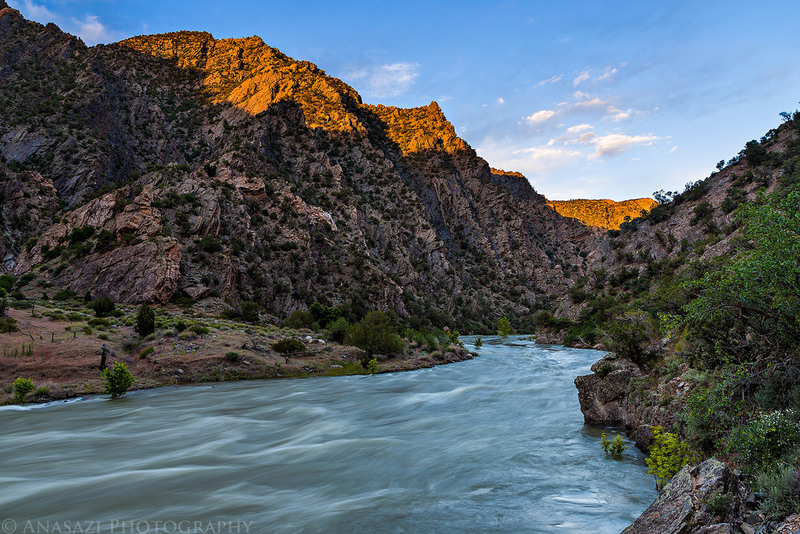 It’s been a few years since I had been to many of the main overlooks along the South Rim in the Black Canyon of the Gunnison National Park and I thought it was time to finally get back for another visit. Diane and I left home early enough on Saturday morning so that we were able to make it to the Cedar Point overlook about a half hour before the sun came up. I spent that time photographing The Painted Wall and the deep canyon below us until shortly after the sunrise. Once the sun was up we drove the rest of the way to the end of the road and hiked out to Warner Point since I had never been out there before. Clouds started rolling in from the west as we hiked back to the trailhead as a storm front moved into the area that was supposed to bring us some rain for the next couple of days. After our hike, we drove back out of the park and stopped at a couple of the other viewpoints along the way. Before leaving we drove down the East Portal Road to the Crystal Dam on the Gunnison River and were pleasantly surprised to find a couple nice patches of fall colors along the way. It’s always nice to spend a few hours along the rim of The Black Canyon. 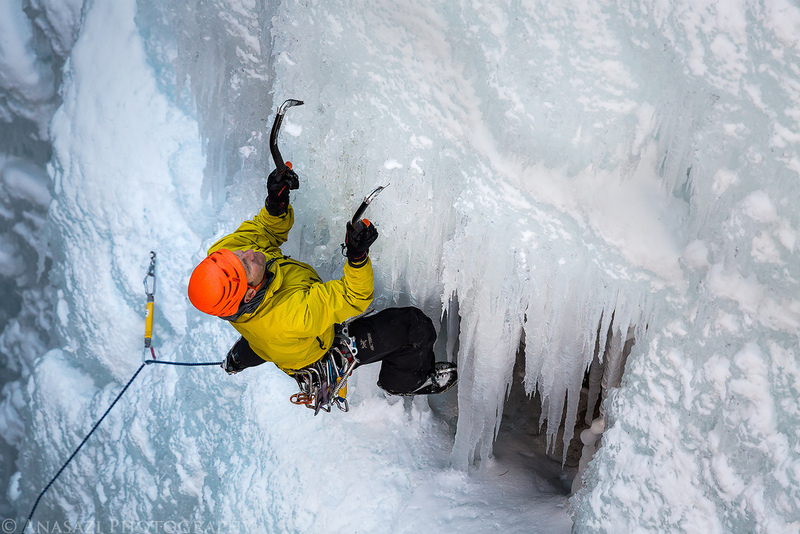 Deep, Steep and Narrow. 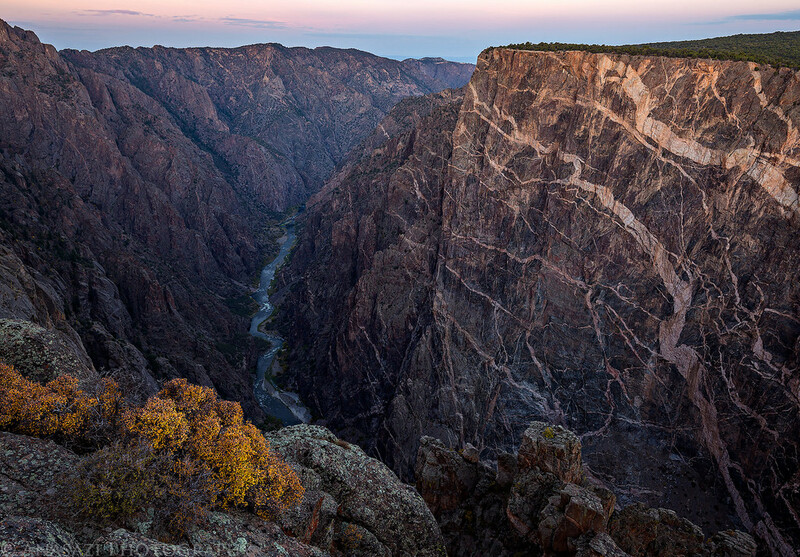 That’s how the National Park Service describes the Black Canyon of the Gunnison, and it’s pretty accurate. 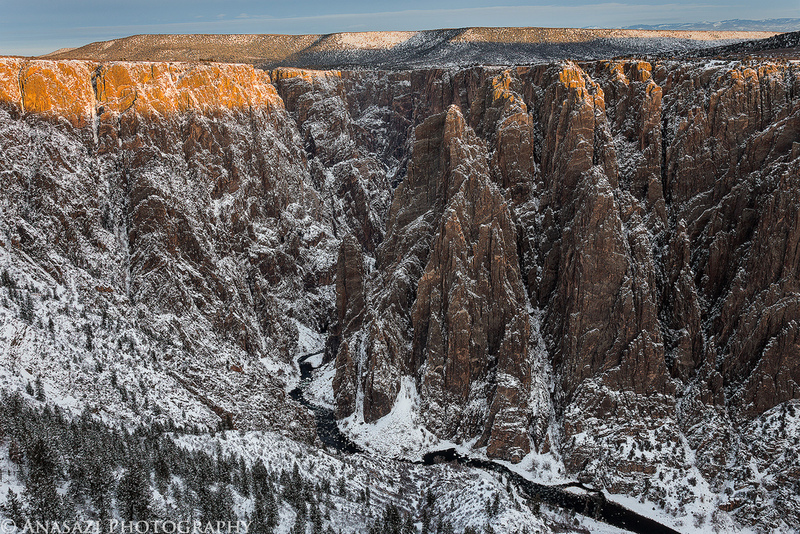 The Black Canyon is comprised of some of the steepest cliffs, oldest rock, and craggiest spires in North America. I’ve wanted to hike down into the Black Canyon of the Gunnison for quite a while now and thought I would try Red Rock Canyon, the easiest route, for my first time. This trail is about 3.5 miles in length and only drops 1330 feet to the river. Compared to the other routes down to the Gunnison, this one is definitely the least steep.